As I was getting The Cross and the Dragon ready for publication, my editor had an assignment for me: write a blurb for the back of the book. In 100 to 200 words, tantalizingly describe approximately the first third of the plot. No pressure. It’s only your readers’ first impression of your novel after the cover. Readers will only use this bit of information to decide whether they ought to spend time and money on the book. Yet when it takes more than 100,000 words to tell the story, how does an author distill the essence of the novel into a mere 200 words–or less? Yet even though I’ve written teasers and headlines when I was a journalist, I found the process intimidating, and I couldn’t just recycle the pitch in my queries because it went much deeper into the plot than one third and contains a spoiler. My quest to write the blurb that will work its magic involved reading current queries, older queries, the backs of the books that populate my nightstand and bookshelves, the Publishers Weekly review of the manuscript from the 2011 Amazon Breakthrough Novel Award competition, and the excerpt I’ve posted on my website. Fellow authors, I hope you find this peek into my somewhat disorganized mind helpful when your editor asks you for a blurb. One commonality in the blurbs of published books is that many of them start with one sentence to capture the story, actually a fragment of a sentence. My older query letters call The Cross and the Dragon a tale of “an eighth-century Frankish warrior and his lady who are willing to sacrifice everything for love.” True, but that does not set this novel set apart from other love stories. Riffing off a phrase from Publishers Weekly, I came up with “A tale of love in an era of war and blood feuds …” Did I mention many blurbs use ellipses? OK. 12 words down. Only 88 more words to go. Also element common to historical novels: dates. Pick a year in the 770s and a place. 86 more to go. I got to pondering the excerpt on my website and why I chose that scene–right after the villain realizes he’s been rejected–to tease readers to the book. The realization hit me: the scene is full of tension–and from that point in the story, there’s no going back. Eureka! That’s what I needed in the blurb. Francia, 774: Alda must escape marriage to Ganelon, a handsome count with a heart as black and twisted as a spent long in the hearth. Hruodland, the man she wants, is out of reach. After Hruodland rescued her from a beating at Ganelon’s hand a year ago, Alda thought she would never see him again. Yet here he is at her Rhineland home. And so is Ganelon. As Alda and Hruodland’s love blossoms, Ganelon becomes more hateful by the day. And when Alda’s family decides Hruodland has the better offer, Ganelon explodes in rage and swears revenge. What form will Ganelon’s vengeance take? The above reveals how the story opens and the point of no return. But it feels too much like a summary, and it doesn’t give readers a sense of Alda’s character. Something was missing. I again turned to my most recent queries and found that final piece. I could hint at the spoiler. Instead of revealing what happens, I could leave the situation open ended to build suspense and reveal who Alda is. If you like the blurb, I invite you to read the first chapter. Fellow writers, what techniques and sources did you use to craft that magical 100 to 200 words to entice your readers? 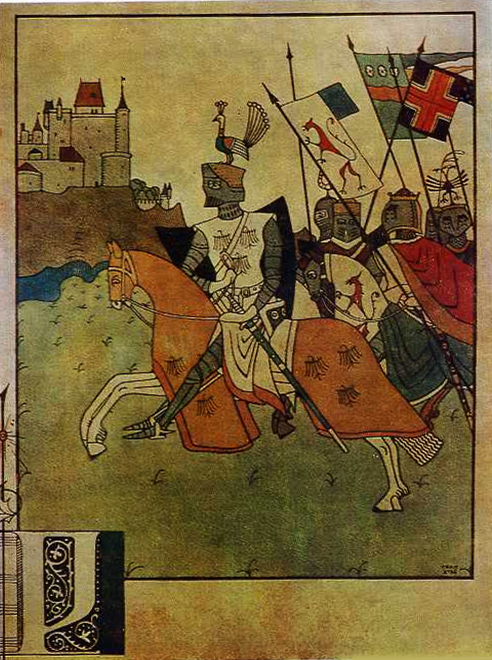 Thanks to anonymous medieval epic, “The Song of Roland,” the battle at the Pass of Roncevaux in Spain is seen as Christianity vs. Islam. While the poem has a lot to say about courage in the face of overwhelming odds, any resemblance between it and the facts is purely coincidental. The people responsible for the 778 massacre were Basques, not Saracens. In fact, the nobleman who persuaded Charlemagne to cross the Pyrenees and invade Spain was a Saracen seeking assistance to fight a fellow Muslim. For more about the emir, Sulaiman Yaqzan ibn al-Arabi, and why he sought aid from a devout Christian king, read my post on author Jessica Knauss’s blog. And if you would like to learn more about the massacre–so traumatic that no one wrote about while Charlemagne was still alive–read a post I wrote in May for Unusual Historicals. 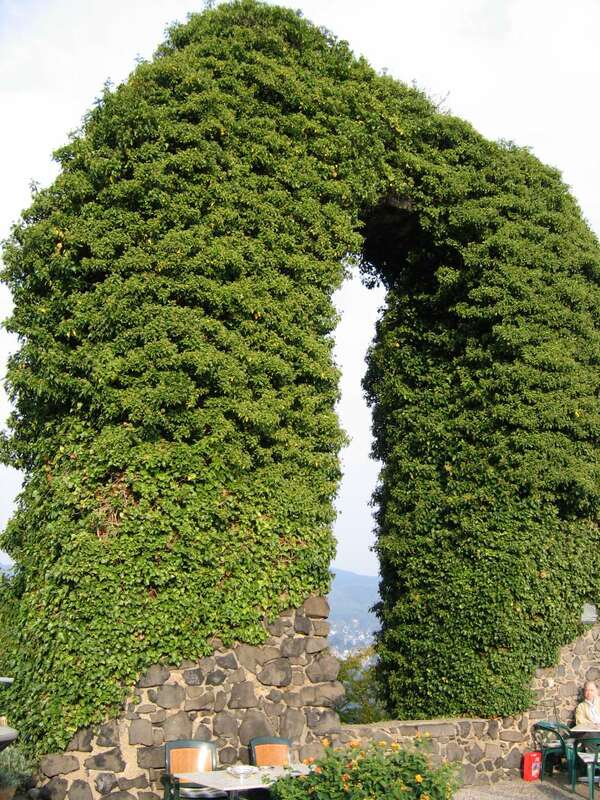 What do an ivy-covered arch, four nonfiction books, and a painting about “The Song of Roland” have in common? They all relate to the answers to questions about The Cross and the Dragon on this Sunday’s Unusual Historicals, a blog dedicated to fiction in unusual places and times. My debut novel is a tale of love amid the wars and blood feuds of Charlemagne’s reign. From Diane Denton: How was the idea for your novel born? Obviously, you have an interest in the period, but what moved you to focus on the characters and their story as you did? From Sandy Frykholm: I think of the early Middle Ages as a fairly dry period for source material. What variety of sources did you find? Any that particularly surprised you—either in content or the fact that they exist at all? 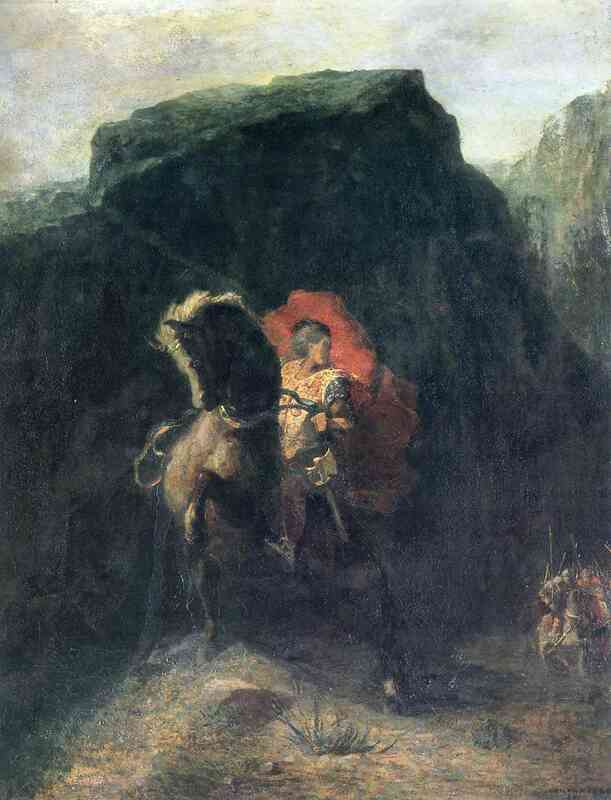 From Roseanne E. Lortz: How did the epic poem “The Song of Roland” influence you in your writing? Are there elements in the novel that you took from the poem? Visit Unusual Historicals for the answers. This week, I’m visiting Unusual Historicals, a blog dedicated to fiction in unusual settings, for Excerpt Thursday. The excerpt is a scene referred to in the blurb of my debut novel, The Cross and the Dragon, set in the earlier years of Charlemagne’s reign. As the Frankish army prepares to invade Hispania, Countess Alda has a premonition of disaster for Hruodland, her beloved, battle-scarred husband. Determined to keep him from harm, even if it exposes her to danger, Alda gives him a charmed dragon amulet. Visit Unusual Historicals and read the excerpt. Coming Sunday: An interview on Unusual Historicals with questions from readers and your chance to win an e-book. 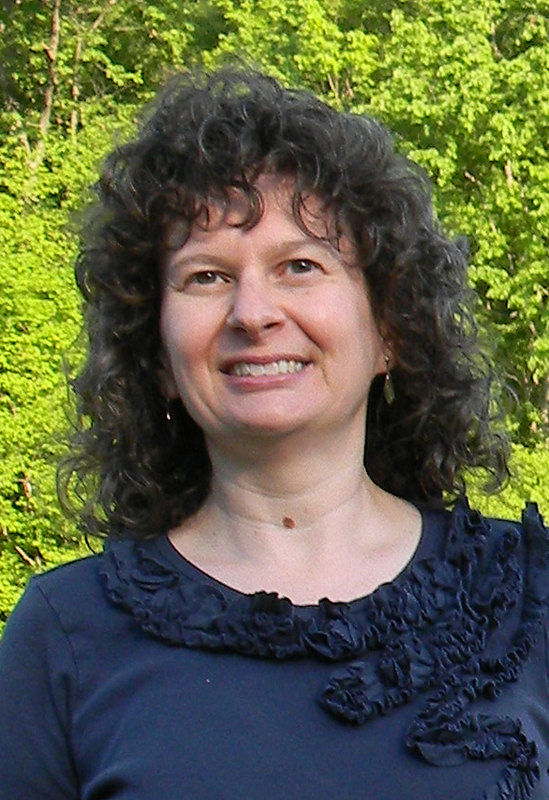 Writer Kim Rendfeld has never lost her love of reading about legends and fairy tales. In fact, she enjoys them so much that she crafts her own stories. She is the newly published author of a work of historical fiction, “The Cross and the Dragon.” The novel, available now in the Friends of the Library Gift Shop in the New Castle-Henry County Public Library, is $18.95 plus tax. Copies purchased in the gift shop benefit local reading programs, Noteworthy concerts and projects not covered by tax dollars. The printed book is also available through Amazon and Barnes & Noble for around $20 and e-books are $7.50. Rendfeld describes her story as that of “a young Frankish noblewoman who must contend with a jilted suitor bent on revenge and the anxiety that her husband will be killed during the coming war in Spain. 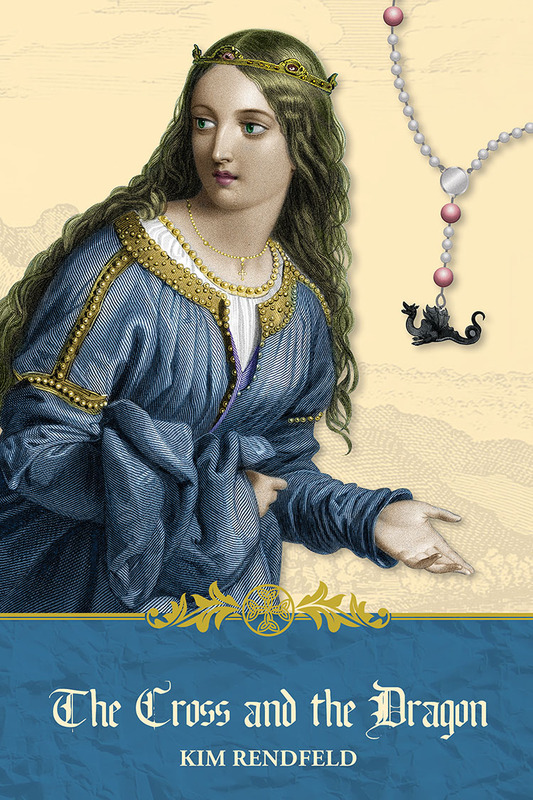 It is set in eighth-century Francia, which included today’s France, Germany, Holland, Belgium, Luxembourg and Switzerland.” More information about the author’s fiction is found on her website, www.kimrendfeld.com. A six-year New Castle resident, the author moved to town with her husband, Randy, managing editor of The Courier-Times. She has enjoyed an extensive career in various aspects of journalism and communications. Currently, Rendfeld is senior manager of editorial services at Ball State University where she copy edits university communications through publications, news releases and Web copy. A native of Silver Spring, Md., the author was reared in Ridgefield, N.J. where she resided with her mother. Summers were spent in Kansas with her father, stepmother and brother. Her bachelor’s degree in English and journalism is from Indiana University and her newspaper career includes editor of the weekly Dunkirk News and Sun; education reporter for The (Muncie) Star and a decade at the Journal and Courier in Lafayette as editor of the Communities Page. There, she supervised a staff responsible “for almost anything readers cut out and pasted in their scrapbooks.” She was also interim editorial page editor. Rendfeld has a grown stepdaughter, Suzanne Thomas and is grandma to Caitlin, age 11 and McKell, 3. At home in New Castle, she enjoys gardening and cooking, serving on the Friends of the Library board and attending First United Methodist Church. She sometimes volunteers at the library. As a teen, her interest turned to the The Lord of the Rings and Mary Stewart’s Crystal Cave series. 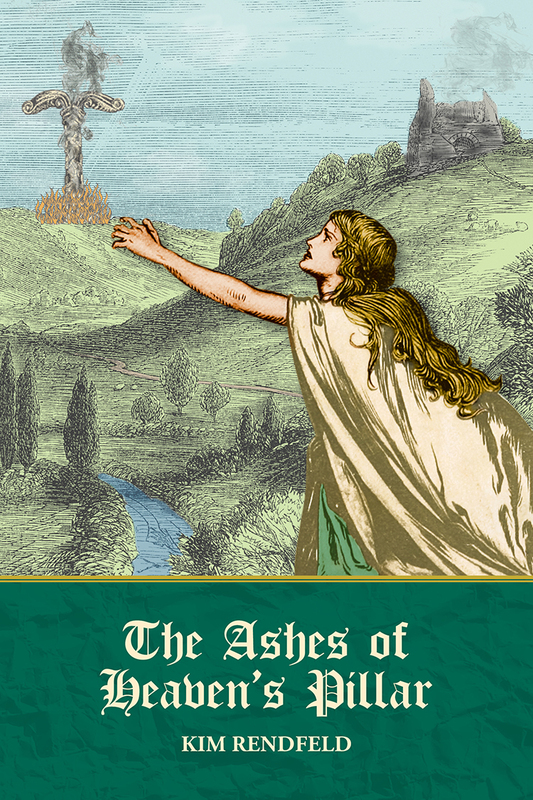 Her next project is polishing the manuscript for her next book, tentatively titled “The Ashes of Heaven’s Pillar,” also set in eighth-century Europe. But for now, Rendfeld is enjoying the ride as a newly published author. She would be happy to speak to groups about her book. If interested, contact her at kim (at) kimrendfeld (dot) com. When her work was accepted for publication … she says she was “ecstatic. I’ve posted resources for research at kimrendfeld.com, but here are four I found indispensable as I wrote The Cross and the Dragon, a love story amid the wars and blood feuds of Charlemagne’s reign. Einhard’s The Life of Charlemagne—This biography of the emperor was written by one of his courtiers about 830-33, at least 16 years after Charles’s death, and like most primary sources of this era, has a definite point of view. In addition to accounts of Charles’s many wars, Einhard provides a physical description of the man and his habits and discuss the monarch’s relationships. He also includes a few events Charles would have rather not had recorded such as the massacre at Roncevaux. Carolingian Chronicles—This collection includes the Royal Frankish Annals, original and revised, and Nithard’s Histories. The RFA has several anonymous authors in the eighth and ninth centuries. These give the freshest accounts of events and show you how the members of the society saw themselves and their adversaries. A warning: the authors of the original annals wanted to make their boss look good, even if that meant exaggerating some events and omitting others that made him look bad. Nithard was one of Charlemagne’s grandsons, who sided with his cousin Charles the Bald in the civil war that tore apart Francia after Charlemagne’s death. His books recount events as he sees them from 814 to 843. P.D. King’s Charlemagne: Translated Sources—This collection of annals, letters, contemporary biographies, capitularies, and more provides even more insight into the Carolingian era. The letters, especially, reveal attitudes and beliefs of the time period, and show the real human beings behind them. For example, Pope Stephen writes a strongly worded letter to Charlemagne and his brother urging them not to marry the daughter of his enemy. If American textbooks had material like this, more students would be interested in history. 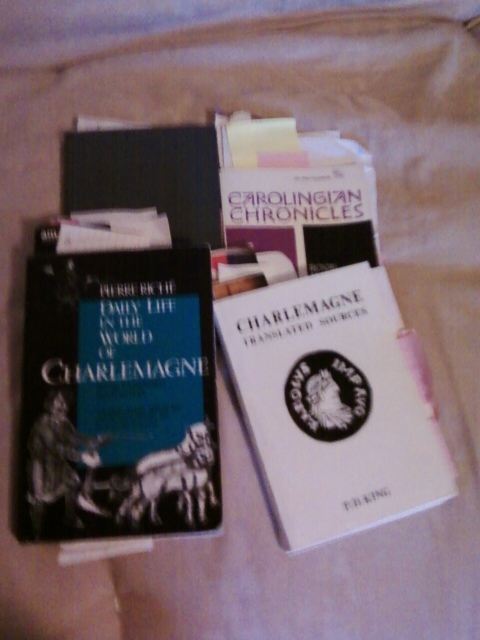 Pierre Riché’s Daily Life in the World of Charlemagne (translated by JoAnn McNamara)—How often did people bathe? How did they heat and light their homes? How did they dress? Daily life books help fill in those kinds of details. Riché, a scholar, focuses on the Carolingians. Writers, what sources can you not do without as you craft your stories?